The autoimmune protocol is a specialized diet that eliminates inflammatory foods to stop the body’s immune system from over-reacting (an autoimmune response). The purpose of the autoimmune protocol is not only to stop the autoimmune response, but to allow the body to heal from the autoimmune attack. The diet nourishes the body with its focus on nutrient dense meats, vegetables, and fruits giving the body exactly what it needs to thrive. For some autoimmune diseases, it is possible to cure the autoimmune disease through this diet and environmental/lifestyle changes. For more information, read this post. I am an adult-onset, insulin-free, type 1 diabetic. Type 1 diabetes is an autoimmune disease. The trigger is not known definitively, but I strongly suspect gluten is the culprit. However, autoimmune diseases are not triggered by just one thing. There are three things that could trigger an autoimmune disease: genes, environment, and diet. The best news is genetic predisposition to a disease is not a guarantee that you will develop the disease. Changing your diet and lifestyle choices, meaning what you eat and your daily habits like sleep and exercise, can very possibly cause those genes to not fire. This means if you eat the right food and take care of your body, it is unlikely you will develop an autoimmune disease, even one that runs in your family. I hate to say it, but I need to go on another elimination diet (aka autoimmune protocol). My morning and sometimes evening blood sugars are just not what they should be. I think they can be better. I know they can be better. They have in the past. 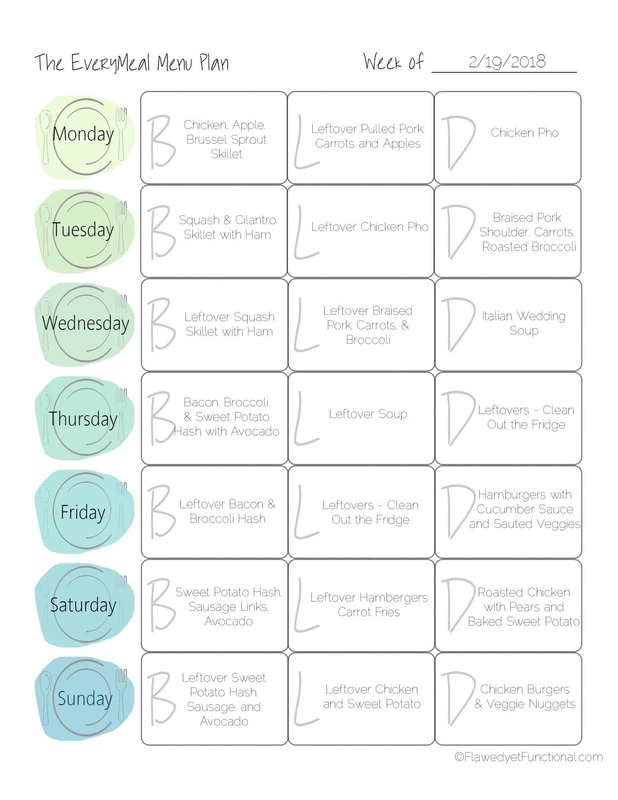 Back in October 2017 when I did my first elimination diet, I followed the meal plan and methods in The Autoimmune Solution by Dr. Amy Meyers. I saw immediate blood glucose improvement the first day I was on the diet. The results were truly amazing and so encouraging! However, the food was simply not tasty. I love to cook. I’m pretty good at it (at least I think so! ), and I just couldn’t handle spending hours in the kitchen to only have a bland, unimpressive meal. My taste buds demand more. For that reason alone, I only stayed on the strict diet for 2 weeks before I started adding back in some of the restricted food. I thought I had narrowed down my blood sugar level issues to dairy and non-gluten grains, as those were the two biggest categories of food that I eliminated on the diet. So I slowly added back in the restricted, but possibly ok, items one at a time: eggs, nuts, coffee, nightshades, and alcohol. My morning and evening blood sugar readings stayed great until November 23, Thanksgiving. I had bought chocolate covered blueberries and acai berries to have as a snack while family was in town over the holidays. I neglected to check the ingredients thoroughly, and they had dairy. My morning readings jumped in one night from 110-145 to 160+. Wow, I wish I had walked through my past readings and diet changes like I just did to write this post! The change is obvious! I didn’t find the solution to my higher readings (candy with dairy) until well in January. I’ve been very strict about my dairy exposure for the last three weeks, but my morning blood glucose levels are not lowering. I cut out alcohol on January 27 and coffee on February 2. My morning blood glucose still remains the same. I think I need to heal my gut again. I’m going back on the Autoimmune Protocol starting on Monday, February 19, 2018. This time, I’m doing it my way. I finally discovered what the “AIP” tag on various Paleo recipes means. Autoimmune Protocol! It’s the same elimination diet I had tried in October 2017! I’ve found more blogs and books to read, and the world has opened a little more to me. There are even more people out there healing themselves through food! It’s not just me! 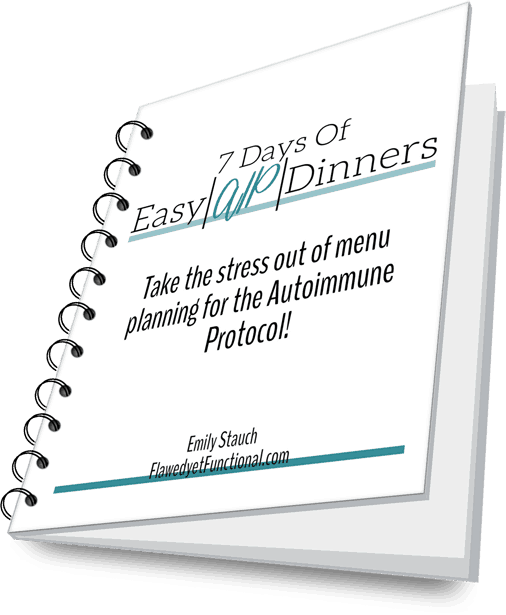 Some of them are food bloggers who share AIP (Autoimmune Protocol) friendly recipes. Yay! Good food!! However, I am careful to watch my carbohydrate intake, even while on the AIP diet. I am still a type 1 diabetic without a fully functioning pancreas. Some AIP recipes rely on cassava/tapioca/arrowroot flour, and I must limit my intake of those because they increase my blood sugar dramatically. I will be eating fresh food: meat, vegetables, and fruit. The menu is planned, groceries are budgeted and purchased, and I’ve formulated a plan for accountability. I am ready to rock this round of the Autoimmune Protocol! Notice all the “leftovers” in the menu above? I intentionally tried to make most meals stretch for two. Diets like these are no joke. They require effort in the kitchen, so I want to maximize my effort by cooking double when I do cook so that I can have at least one easy meal the next day (maybe two!). I was over budget for this shopping trip. My budget for one week is $130, and I spent $155 for this week’s worth of meals. I use YNAB faithfully to make sure overspending on groceries doesn’t eat away at the rest of the budget. This is the beauty of a budget: I just borrowed some money from our miscellaneous category to cover the budget over flow. The budget is still on track! I am guessing I’ll be a little over most weeks I do the AIP. It’s even more expensive than just a Paleo diet. My fridge is filled to the brim. It’s so full, I’m afraid some of my produce will freeze due to lack of air flow! I need the weather to cool down again so I can use my second fridge, aka the garage! My main source of accountability is my husband. He is always with me and rooting for me in all these health adventures. Even though he doesn’t have a pressing health problem, he willingly takes my diet restrictions on himself. He is supportive every time I want to quit, and he helps me problem-solve, troubleshoot when things go awry. My second source will be you. I plan to share quick updates on Instagram, and a weekly, more detailed, recap on this ole blog. Facebook will also have these same updates. Follow me to see how things are going day by day! As I mentioned above, figuring out what the “AIP” abbreviation meant on recipes posted on Pinterest was eye-opening. All the sudden, I could find so many recipes to help me through the elimination phase of the AIP diet. This discovery is what gave me the courage to try it again. I can do anything as long as my food tastes good. Ha! I also checked out some very interesting books from the library, and wouldn’t you know, they all say the same thing! There are more published authors out there proclaiming the healing value of food. Here are some good books and blogs to look into if you are looking to heal you gut, cure an autoimmune disease, or just looking for a healthier lifestyle than you will find from your doctor’s office. Follow me on Instagram, Pinterest, and Facebook for more inspiration and see what I’m learning!